Why can China maintain public safety and stability? For many foreigners who have visited or worked in China, one of their strong impressions is that the country is very safe. Here, you can go out alone late at night to eat at a food stand without feeling nervous. You can also let your younger children ride public transport all by themselves without worrying about their safety. This year, 2018, marks the 40th anniversary of the launching of the reform and opening up policy in China. Over the past four decades, the country has achieved fast economic growth, while social peace and stability have been maintained to the fullest extent at the lowest cost. Of course, there are still unsolved problems. However, from the overall perspective, Chinese society remains harmonious and safe. In my eyes, this should be attributed largely to the cultural, economic and political environment of the country. China has a time-honored civilization, spanning some 5,000 years and continuing uninterrupted to this day. As a result, Chinese people share a strong sense of belonging to their motherland in which they have great pride. In the Chinese language, country, or "guo jia," contains two characters. While the first word "guo" literally means country, the second word "jia" means home or family. In the eyes of the Chinese people, the country is like one big family. It's because of this strong sense of belonging that Chinese society remains so cohesive. As an ancient Chinese saying goes, "when granaries are full, people will know propriety and moderation." A society can be stable and orderly only when its people can lead a prosperous life. After the introduction of the reform and opening up policy in 1978, China achieved fast economic growth and significant scientific and technological progress. It has become the world's second largest economy, with its per-capita GDP has doubled and redoubled many times over the four decades. In the meantime, the Chinese government has taken various measures such as those to fight corruption, reduce poverty and promote the rule of law, in order to uphold social equity. Thanks to these efforts, the potential factors that might destabilize society have been greatly reduced. Apart from government departments including the police and judicial departments, the general public also contributes much to social governance. "Xicheng Dama" is an outstanding example. Wearing red vests and caps, middle-aged and elderly female volunteers in Beijing's Xicheng District act in various capacities - patrols, cleaners and parking lot attendants - to ensure a clean, safe and harmonious environment. Another example is the concept of the "Chaoyang Resident," which helps police investigate swindling activities, celebrities' involvement in drugs and other cases. The development of information technology has created new ways of linking the police and the public. 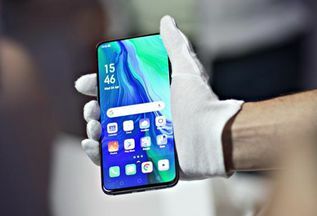 For example, the Public Security Bureau of Beijing's Chaoyang District launched "Chaoyang Resident HD," a mobile app designed to collect tip-offs from the public. By jointly combating crimes in such ways, the public and the police have developed an ever-increasing level of mutual trust and positive interaction. The safety and stability in China did not come easily. Rather, it should be attributed to the efforts made by 1.3 billion people to pursue fairness and justice under the leadership of the Communist Party of China and the Chinese government. For both Chinese and foreigners living in the country, the sense of safety and security is very precious.